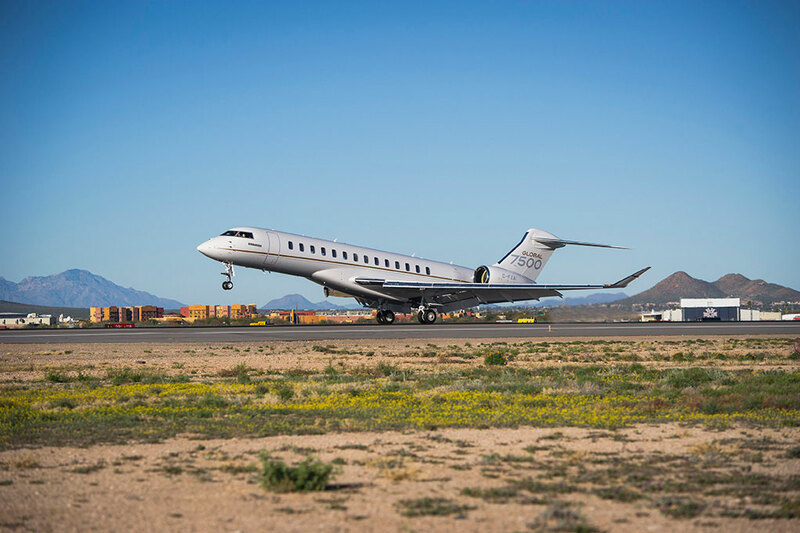 Bombardier’s new Global 7500 this week achieved what the manufacturer is billing as the world’s longest flight by a purpose-built business jet. The aircraft logged 8,152 nm after taking off from Singapore at 7:12 a.m. local time on March 4 and landing in Tucson, Arizona, at 8:19 a.m.—setting a speed record for this sector in the process. The aircraft landed with 4,300 pounds of fuel, falling well within NBAA requirements with nearly 90 additional minutes of flight time possible. The Global 7500 entered service on December 20, 2018. Designed for long intercontinental flights, it boasts the industry’s largest business jet cabin and a maximum speed of Mach 0.925. This week’s flight exceeded the aircraft’s advertised range of 7,700 nm. After the aircraft completed type certification with Transport Canada in September 2018 and with FAA in November 2018, the European Aviation Safety Agency signed off on the new model in early February.